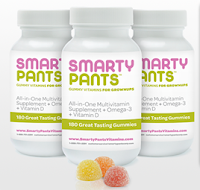 Get Free SmartyPants Gummy Vitamin Sample. All you have to do is fill out a simple online request form! You can request them for adults or kids or even get a sample for both. They give out 50 free samples daily. 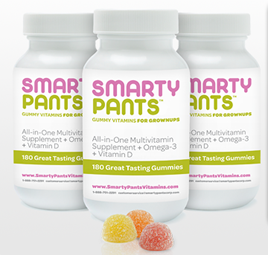 SmartyPants Gummy Vitamins for GrownUps are the premium 3-in-1 Multivitamin + Omega 3 DHA & EPA + Vitamin D supplement for grown ups who hate taking horsepills but still need their daily vitamin.